One of my first book boyfriends was named Florian. If I close my eyes, I can visualize him in front of me. Tall, dark haired with a touch of grey, beautiful strong fingers, piercing eyes ... oh yes, a French accent. Yes, I fell in love with Mary Burchell's Florain from Harlequin romance title Under the Stars of Paris (originally published in 1954, my paperback is the 1975 reissue). Even at age nine, I knew I wanted to live in Paris (somehow that city has always been my heart's second home). When I saw Paris in the title of this book lined up among 100s in an array of books on a table at the local library's annual book sale - I grabbed it. It definitely called out to me. Little did I know, even after all these years, that I'd still pull this book out to reread once in a while... Yes, I admit it. I'm still in love with Florian and though I've almost found him in real life a few times, no one quite matches up. Or should. He'd probably be most impossible to live with! But I can dream a bit, right? Oh, Mary Burchell, you know how to write heroes! Florian was just the first of many Mary Burchell heroes that I crushed on as I continued to search out her books. When I found the thirteen book Warrender Saga, I was in seventh heaven. The first book I read in the series, On Wings of Song, is actually the final title (book 13) to be published. If you know me, than you can guess that I then scoured every book sale, secondhand shop, even auction lots to find the twelve other titles to complete the series (and this was when I was in my teens, ahem, pre-Amazon and Internet shopping). I love the Warrender Saga, not just because Florian pops up in these once in a while, but because they too each have heroes (and heroines) that I still thirst to read about. Plus the stories all revolve around the world of opera and music. I never dreamed when I read this series that one day I'd work for a world-renowned conductor or alongside talented musicians, but feel that some of those dreams Burchell's books inspired in my heart took root. No, I never crushed on the conductor. Perhaps a few of the musicians. But it was the creative environment, the behind the scenes jealousy and scheming, the magic of the performance that drew me in. Silently, through her books, Mary Burchell opened up the desire to hear and live music within me. A tremendous gift from an amazing woman! I still love pulling these books out and just looking at them as the cover art is so beautiful. It's funny, but I still prefer the old-style painted covers of the older Harlequins - and would love to know more about the artists. Does anyone have any background on them? If so, please comment below! Until Harlequin reissues these precious titles, I'll visit OpenLibrary.org to borrow one of their scanned library copies. Yes, Under the Stars of Paris is there. (I'll return it soon. I promise! Just had to reread it yet again). You can also find On Wings of Song, but no any other Warrender Saga title. 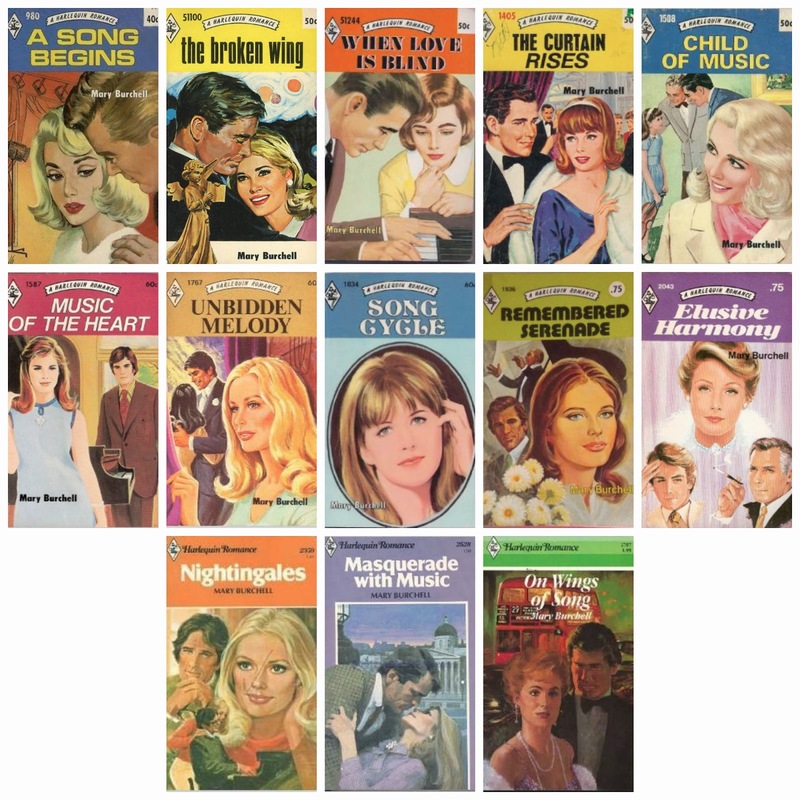 In fact, of the 112 titles by Burchell that Mills & Boon / Harlequin published, only 16 are available on OpenLibrary.org in eBook format. So please, Harlequin. Please. Reissue titles by the amazing Mary Burchell. I know that she's one of the reasons I love and read romance now - and am absolutely sure I'm not alone. If you love her too, please add your comments and memories below. Check out the Wikipedia biography of Mary Burchell (Ida Cook) and you'll discover not only an amazing author, but also an incredible human being. When I read her books, I wasn't aware that she and her sister had helped smuggle Jews out of Nazi Germany (with the help of an Austrian conductor and his wife). Another generation of readers should have the chance to discover her books digitally. Please Harlequin, please, reissue Mary Burchell's titles. Until then, I'll be reading the scans from OpenLibrary.org as well as her autobiography Safe Passage (written under her real name, Ida Cook) that IS AVAILABLE DIGITALLY and is winging its way to my Kindle as I type! Remember, if you look for these and other out of print titles on Amazon, to make sure to request the the publisher reissue these books digitally. 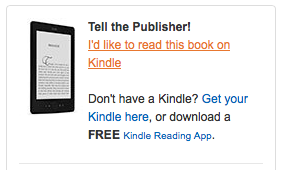 Use the the handy link on the lower right side of the book's page that Amazon provides. (see graphic example). Thank you, Amazon, for passing along these requests! In addition to Amazon's new KindleUnlimited monthly subscription service, don't forget that fabulous resource next door... your community library! As an admitted bookaholic, I began finding my second home in a library at a very young age. No wonder my personal library (physical and digital) has to be organized by subject, author, and title! Truly, your library is a resource that provides a way to explore and support authors that is unparalleled. In addition to OpenLibrary.org (that anyone, anywhere can join for free), I know that I've been able to discover authors and books through my library's Overdrive collection that are truly amazing. Also, I search for favorite authors and titles and if they're not represented in the collection, I find them through the handy Overdrive tool and suggest them - and many have been added! If your library doesn't have access to Overdrive, you might want to check with some libraries in larger cities as they might provide access mostly free of charge (with proof of residence) for state residents. Seattle Library offers fee-based access ($85 fee for all WA residents), while Brooklyn and New York Public Library (NYS residents), Free Library of Philadelphia (PA residents), and Houston Public Library (TX residents) offer access free of charge. Some libraries also offer non-state-residents a library card for a small fee. These include: Brooklyn Public Library, Fairfax County Library (VA), Houston Public Library (TX), Charlotte Mecklenburg Library (NC), Monroe County Public Library (NY). You don't have to visit these libraries in person to sign up, but can do so either digitally or by post (see individual requirements and fees). 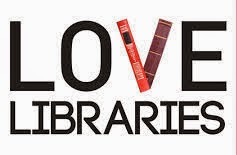 With your library membership you will have digital access to the library's catalog, including Overdrive and, of course, if you visit the library in person most of these will honor your card for hard-copy book requests. In addition to these options through your library, Amazon.com offers some other fabulous ways to find new authors and books. If you're an Amazon Prime member you can borrow one book from the Prime Library per month (this is in addition to Prime's free two-day shipping, videos, and music) and Amazon also has a wonderful Lend-a-Book program designed to let you lend a book to a friend from your personal library (you just can't access it for the two weeks it is lent).